What brings beauty to your homeschool? 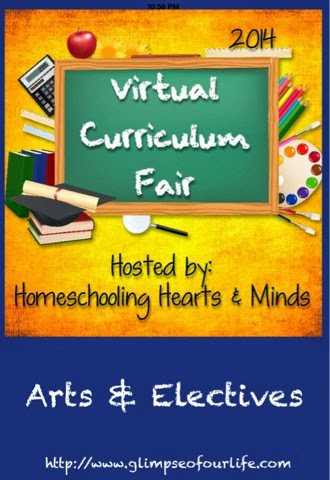 Susan at Homeschooling Hearts & Minds asked that question for this last week of links in the Virtual Curriculum Fair. That made me think of my mom. She adds beauty to my children's education with painting, music, cooking, poetry lessons, sewing, and more. The kids absolutely adore spending time with Grandmommie and Pappy, and the wonderful lessons they provide aren't really thought of as schoolwork. They also cook with Pappy, and learn about all manner of things in his shop. I am incredibly thankful for my parents' involvement with my children. They have transformed what was briefly my bedroom in their house into an art room. Tablecloths cover every inch of the floor when they paint, and the kids can stay in there for hours. My mom also encourages their creative writing. When the kids first got into nanowrimo several years ago, she became their biggest cheerleader. Now she is finalizing her own book. When I share about family involvement, I can't leave out my husband. When we first discussed moving here, homeschooling was his idea. I had to be convinced. He has taught them hunting, shooting, and yes even butchering skills. He took the time to be a certified trainer in our 4H shooting sports when the kids expressed an interest. If he is able, he takes off of work and joins our homeschool group field trips. And at home, he is constantly teaching them around the farm. He allows the kids to take risks, but also provides them with a safety net. So what brings beauty to our homeschool? Family! Our family supporting our decision and encouraging the kids to excel blesses all of us. Every day, in addition to their schoolwork and chores, the kids are expected to practice their instruments. The girls play piano and violin and are practicing to play for a former babysitter's wedding this spring. Emily has recently expressed an interest in learning to play the harp and is saving up to purchase one. Joseph is continuing to learn the piano, and his oldest sister is his current teacher. Some days (about once every two weeks) my mom will join us for tea in the afternoon, and most of the time that is followed by all of them practicing music with her. When the girls were young, I remember another mom criticizing how much music was a part of my homeschool plans. Now I'm thankful that my children are confident and happy to share their talent. When my daddy was alive, they often played for him and other residents at assisted living and nursing homes. We have only done that once in the past two years, and I want to add that back into our routine. The girls also love to sew. Once a month (and sometimes more often) we attend a sewing class with my aunt. Sewing at home is mostly done in the evenings after their other lessons. This week my husband's boss's wife surprised us with a gift of her old (very new looking) sewing machine. We planned to rearrange the living room this weekend and know where it will go, but the snow delayed that plan just a bit. The girls will now both be able to sew at the same time! 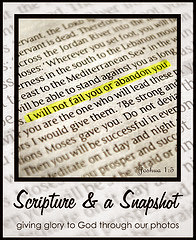 Bible verses also bring beauty to our homeschool. The kids started memorizing Psalm 139 this month, and the words bring such comfort. The girls are writing the verses to help learn them, and Heather showed me how she combined her drafting lesson with her Scripture memory work by using the print that she was learning to write her verses. That is just a little glimpse of some of our electives that add to our routine. We just began a new review for Mango languages, and I've been enjoying the happy repetition of sentences in Spanish, French, and Japanese. Our family enjoys cooking together and trying new recipes. Last year the girls entered cooking and sewing competitions through 4H. Our homeschool group provides opportunities for theatre and literature studies. Our family enjoys traveling, and I try to add educational components to each trip that we take. I've enjoyed reorganizing our school plans and sharing with you through this series. Sign up in the sidebar if you would like to receive a glimpse of our life's posts in your email, and leave a comment as you visit. Love the idea of family bringing beauty to your school! Such a blessing. Wish we lived closer to family! Love your post Jennifer! I did not write this week because this is not a topic I am very comfortable talking about, but you may just have inspired me!